This year, 65.1 million millennials will watch digital video at least once a month, according to eMarketer estimates. 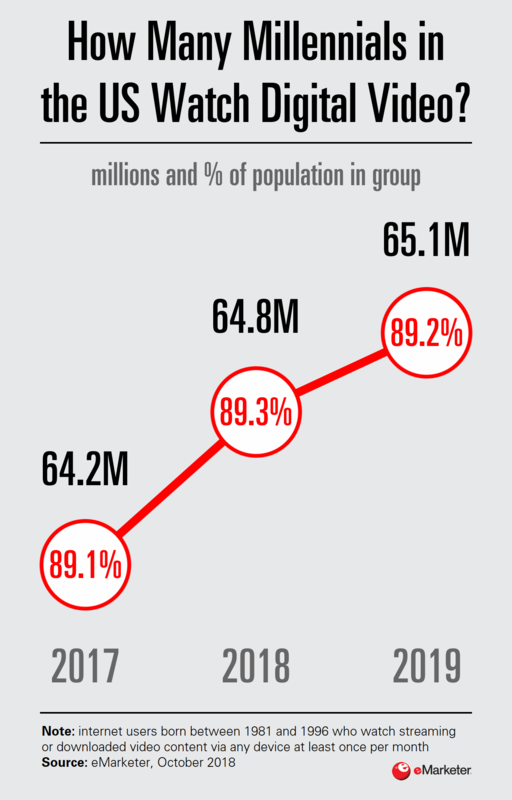 That figure will continue to increase year over year, reaching 66.8 million by 2022. Similarly, eMarketer expects 59 million millennials will watch traditional TV this year, and that figure is expected to decline steadily through 2020. Read the rest at eMarketer.